Vimeo is the high-quality online video platform that inspires the world to share and discover videos worth watching. Vimeo provides creators of all levels professional quality tools to share, publish, or sell video — with no interruptive advertising. Vimeo has over 35 million registered members and a global monthly audience of over 160 million people, making it the largest open transactional VOD platform worldwide. Founded in 2004 and based in New York City, Vimeo, LLC is an operating business of IAC (NASDAQ: IACI). Vimeo is the platform of choice for professional video creators and reaches a global monthly audience of over 160 million viewers, which means user experience is a top priority. To provide the best possible experience for people watching and uploading videos, they need to ensure that assets (including their player) load quickly. Thumbnail images are a huge component of the Vimeo platform — they inform user decisions by indicating the theme and style of a video, helping viewers decide if it’s something they’d like to watch. Vimeo sought a way to store and quickly deliver over a billion thumbnail images in real time, so they turned to Fastly for a secure, customizable CDN that would allow them to update site content — including video thumbnails — instantly (in 150 milliseconds or less). Vimeo relies on Google Cloud Platform for application hosting and metrics for some of its services, and wanted a CDN that would work seamlessly with Google’s cloud solutions. Since Fastly integrates with Cloud Platform, it’s easy for Vimeo to use both services to deliver content rapidly. 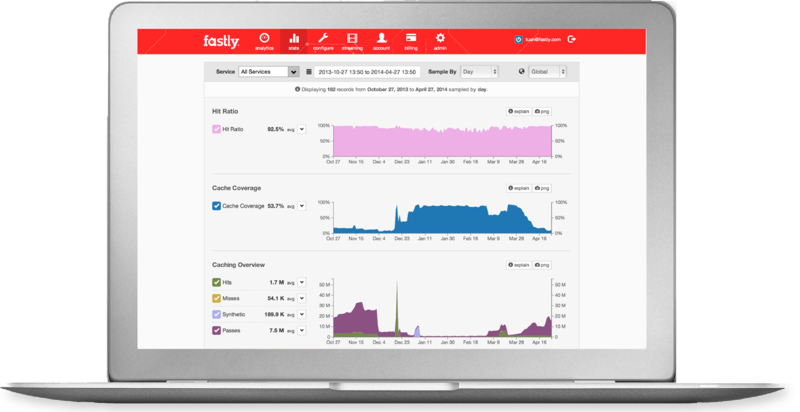 Fastly teamed up with Google Cloud Platform in November 2014 to launch Fastly’s Cloud Accelerator, which combines the power of Google’s infrastructure with the speed of Fastly’s real-time CDN. Fastly’s Cloud Accelerator interconnects Fastly and Google Cloud Platform in strategic locations across the world. All traffic between Google and Fastly goes over these interconnects instead of the public internet, improving response times for Vimeo’s Cloud Platform services. Fastly’s Cloud Accelerator allows Vimeo to perform application logic at the edge with low latency, giving them granular control over how site objects are served and ensuring users see up-to-date content. With Fastly’s Cloud Accelerator, Vimeo configured Fastly’s Origin Shield for all traffic going to their Google Cloud Platform services. Origin Shield collapses cache-misses into a single request back to their Google Compute Engine instances, and leverages advanced routing and Dynamic Site Acceleration (DSA) to speed up response times up to four times faster than other cloud solutions. Vimeo scales their origins on Compute Engine on demand, using Google Compute Engine load balancing to handle 2,000 requests per second at peak across compute instances that spin up in seconds. Fastly is built on a heavily customized version of Varnish, a state-of-the-art web accelerator that enables intelligent caching and allows businesses to push more application logic to the edge. Before using Fastly, Vimeo was already running their own Varnish servers. Using Varnish, Vimeo can easily customize how they serve content and gain better insight into their application via Fastly’s Real-time Log Streaming. Logs allow Vimeo to monitor stats such as percentage of requests per second, their global traffic profile, and metrics showing total requests, hit ratios, and errors — all in real time. All videos on Vimeo.com have associated thumbnails, the optimal sizes of which vary by user device and browser type. To improve performance while providing the best user experience, Vimeo developed Viewmaster, a system that generates all images on the fly. Viewmaster allows their platform to be more flexible with the images they serve and accept as uploads, and scales thumbnails to the size of the player. Because thumbnail images vary widely — not only by video but also by size — Vimeo needed an effective way to store and serve the billions of images being created, some of which were extremely large (over one megabyte). Vimeo turned to Fastly and Google Cloud Platform to render and cache all of the images, and handle peak traffic loads seamlessly. Viewmaster builds on top of Compute Engine to intelligently pull a mezzanine image from Google Cloud Storage, resizing it on the fly from origin as needed by device, browser, or resolution. The Viewmaster stack handles a tremendous volume of traffic. Using an internal Varnish cluster on a pair of Compute Engine instances allows Vimeo to achieve an impressive 16 gigabits per second of throughput over Fastly’s Cloud Accelerator. 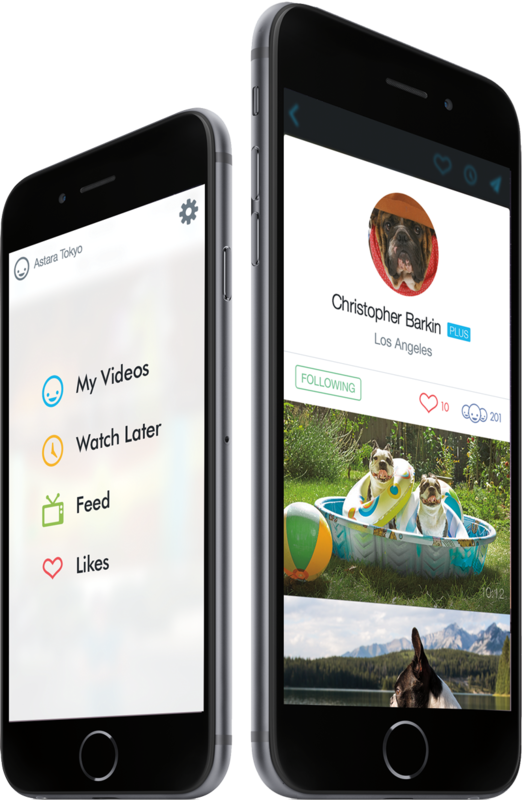 Fastly’s network handles over 6,800 requests per second at the edge for Viewmaster, with a hit rate of over 73% on this highly diverse, very dynamic content set. Improved hit rates translate to huge performance gains for Vimeo because more content can be served from the edge — geographically closer to users. Earlier this year, Vimeo moved all their traffic over to HTTPS, ensuring a secure connection for visitors to Vimeo.com. They wanted to serve that traffic from the same hostname that they had served HTTP, which wasn’t possible with other CDN providers but was a standard configuration with Fastly. As the world moves towards Transport Layer Security (TLS, which replaces SSL), latency in every part of the video delivery chain adds up to negatively impact user experience. Particularly in mobile environments and in geographies which might be far from the origin server, this latency degrades the user experience. Fastly enabled them to terminate secure TLS connections at the edge, providing security without reducing performance. They saw vast improvements in performance across the board, and measured a 50% reduction in latency in Asia and Australia and to mobile viewers. 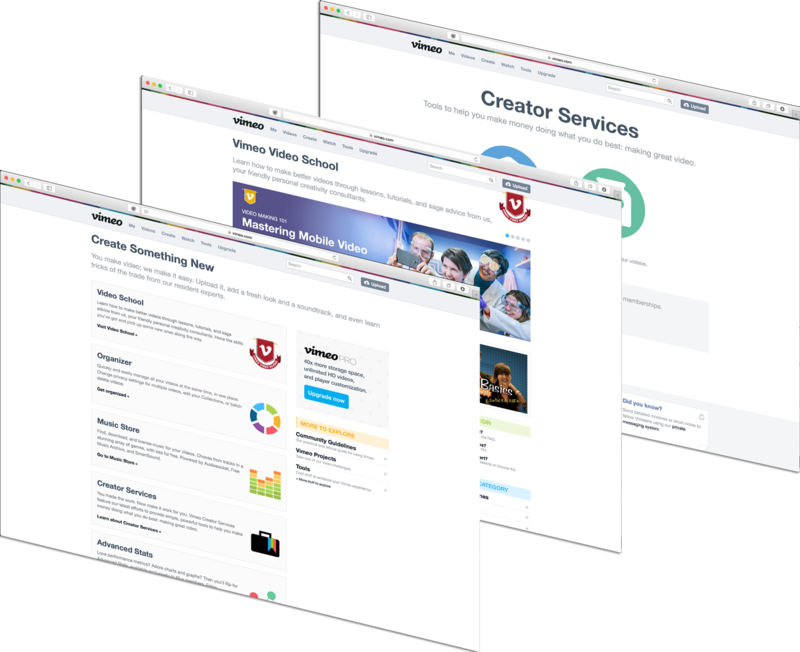 Vimeo requires tools that are self-configurable and user-friendly, offering them total flexibility and real-time responses when they need to make a change. Because Fastly gives them complete visibility and direct access to their edge configurations, they can deploy new services quickly and make changes or roll back as needed, without any lag time or unnecessary process. When Vimeo does need help, they find Fastly support both expert and proactive. They enjoy working with Fastly’s knowledgeable team, and find it easy to reach them on IRC for quick answers.